Glamping – A Bonk & Co Field Guide. There’s no doubt that this modern trend of retiring to remote places while maintaining the trappings of luxury is now extremely popular. Here are a few suggestions that allow you to camp out with a few home comforts. First conceived by designer, Uula Jero, in 2009, the yurt was borne from a desire to live more closely with the outdoors, while exploring the benefits of living in a circular space. Yurts date back thousands of years to Central Asia, where nomadic tribes would routinely pack up their home and head out in search of fresh grazing land. Typically built from hewn wood, comprising of a lattice wall and long roof poles leading up to a heavy crown, the yurt is a semi-permanent structure built for year-round use. It’s ability to be transported with ease, by mule or oxen, made it a popular dwelling that is still in use around the world today. Trakke are a Glasgow based company, so your adventure begins right around the corner! Scotland Overland Land Rovers enable access to places that ordinary camper vans can’t go, allowing you to set up camp anywhere; on the beach or deep in the forest. The roof tents allow you to set camp in under 5 minutes and provide comfortable accommodation with a view. Everything needed for wild camping is included: just turn up with your toothbrush and go! A bit further afield this one, but could spark the beginning of something great! 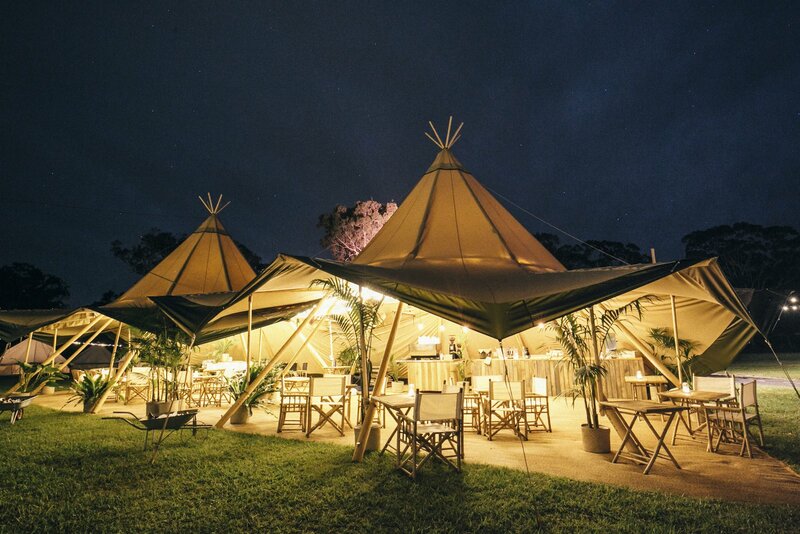 Flash Camp is Australia’s leading provider of temporary luxury camping accommodation and services. Whether you plan on hosting a wedding, festival, corporate retreat, special event, or hiring an entire pop-up hotel to cater to 400 people—they are dedicated to providing comfortable, bespoke accommodation with outstanding services to enhance your guests’ experience. Loch Tay Geodesic Glamping Domes are located in their own scenic ‘dome village’ overlooking the breathtaking views of Loch Tay and Ben Lawers mountain. Each spacious interior is furnished with high quality and essential extras. From a wood burning stove to bean bag seating, LED lamps, and an external firepit, Loch Tay Glamping Domes create a truly unique and enjoyable retreat for all ages.